Our stunning Vogue Midi Midline electric stove and the Skope 55R electric inset fire were on display, paired with some of Birlea’s brand new products. 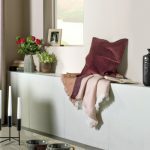 The beauty of both these electric fireplaces is that they can be used with or without heat, and only require a connection to the mains to be able to function. 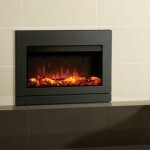 With its portrait flame picture, the Skope 55R creates a striking electric fireplace. 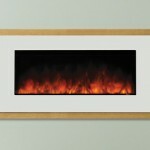 Using LED technology, this advanced electric fire features interchangeable fuel bed options. A choice of realistic logs, clear and grey pebbles, and a contemporary Crystal Ice-effect are included which give a host of options for any contemporary living space. If you are looking for a landscape electric fireplace, the Skope range offers a host of different installation options that include hole-in-the-wall inset versions, as well as a host of outset models. 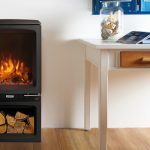 The outset models allow you to have an electric log burner that simply hangs on the wall, or can be built into unusual and bespoke installations. The Vogue Midi electric log burner from Gazco offers independent flame and ember bed lighting effects in a sleek freestanding finish. There are two models available – if you are going for more of a realistic look, the Vogue Midi Midline makes a great choice with its log store for storing real logs, adding to the overall look. With over 13 different colour fuel bed lighting colours, this electric stove makes an ideal focal point and creates a truly ambient atmosphere. 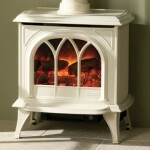 The Vogue is also available in both wood burning and multi-fuel and gas stove models.